To celebrate our 21st anniversary we are thrilled to have Ted Bowman who will be speaking on Looking Back / Looking Forward: Challenges for Bereavement Care. Ted Bowman is a grief and family educator based in Saint Paul, Minnesota, USA. For over 40 years he has been teaching, leading workshops, writing and providing consultation about disruptive changes and their resulting loss and grief. He is an adjunct instructor in the School of Social Work for the University of Saint Thomas in Saint Paul, teaching courses on grief counselling and therapy. For the past 20 years, he has travelled annually to England, Scotland and Ireland for work with hospice, mental health, and grief and bereavement care settings. Bereavement care, at its best, is in a constant state of renewal toward best practices. 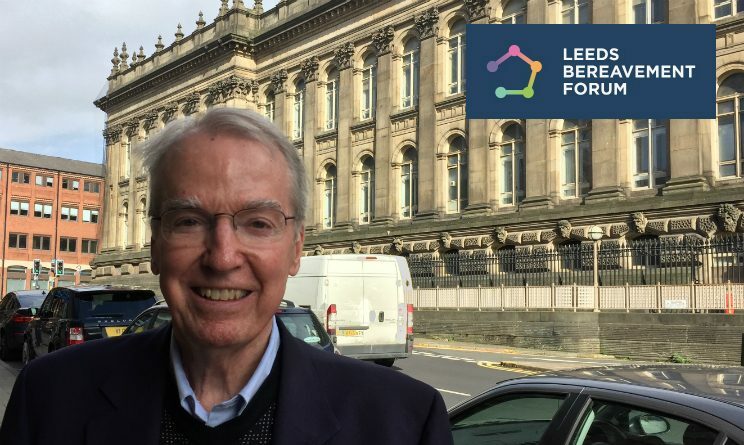 The 21st year of Leeds Bereavement Forum is a “ripe” time to ask questions, look beyond traditional assumptions, and for looking back and looking forward at how grief is presented and addressed. In this experiential and interactive session, Ted Bowman will provide an overview of perspectives and practices that have stood the test of time and experience and newer perspectives and practices that enhance bereavement care. To book your free place please visit Eventbrite. Places are limited.